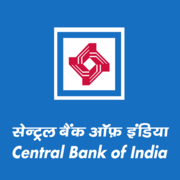 Central Bank of India Recruitment 2019 - Job notification for Incharge of FLCC Post in Central Bank of India, Akola, Amravati, Buldhana, Maharashtra on Contract Basis. Applications are invited by Central Bank of India on or before 20 Apr 2019 for 1 vacancy. Eligible candidates may send their application in prescribed format (attached below) to RegionalManager, Central Bank of India, “Mangesh” Adarsha Colony, Gorakshan Road, Akola.Akola– 444001 (Maharashtra) on or before 20 April 2019, along with the envelope Superscribing “Application for the post ofRecruitment as Incharge of FLCC on contract” to Akola, Amravati and, Buldhana.